Finance for $660 per month at 5.5% APR for 72 months with $4,488 down payment. Payment expires on 04/30/19. Estimated Finance payment based upon 5.5% APR for 72 months, with a down payment of $4,488. Excludes title, taxes, registration, and license fees. Some customers will not qualify. See your authorized dealer for complete details on this and other offers. Residency restrictions may apply. The new Cadillac Escalade, available at our Gulfport, MS dealership, is grandeur beyond limits. The interior is intricately detailed with semi-aniline leather and the exterior is breathtaking with chrome accents and lighting systems. 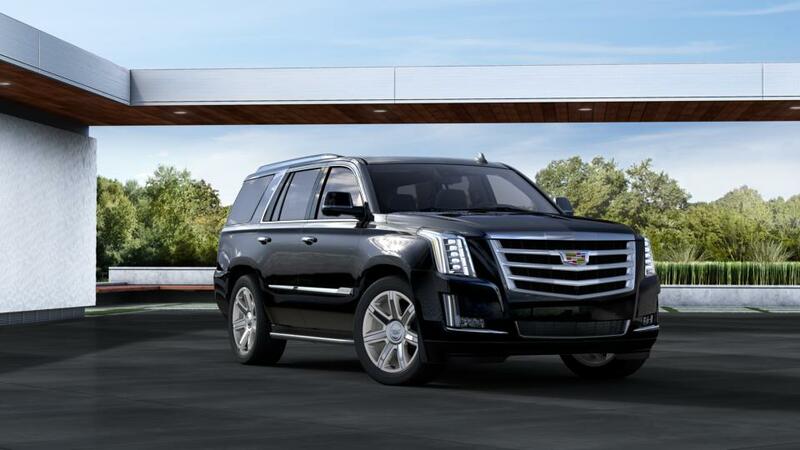 The new Cadillac Escalade will impress the Gulfport, MS customers as it offers the best combination of space, efficiency and family-friendly features. A robust engine and an upscale cabin space add to the already high-quality aesthetics. Our dealership has a wide inventory of the new Cadillac Escalade for Gulfport, MS shoppers. With a single touch, the Power-Folding Third Row Seats completely convert themselves into ample cargo space. The new Cadillac Escalade, available for our Gulfport, MS customers, has made sensational improvements with wireless charging, rear-seat entertainment system to keep all your passengers engaged. We have a friendly staff that will help in choosing the perfect accessories for your vehicle as well. Visit us and test-drive the new Cadillac Escalade in Gulfport, MS.